“Hi, I just recently started following your blog. It was miraculous to me. My daughter (5) is an extremely limited eater. The amount of stress and despair this was causing in our household cannot be underestimated. Feeding your child is primal, it is a fundamental responsibility of parents to provide food, and when your child won’t eat, it is devastating. We take full responsibility for how our daughter ended up such a poor eater. She was a tiny baby (not premature, just small), she didn’t breastfeed well, and didn’t move to solid food well. She was and probably always will be skeptical of new food. So we made the classic mistakes, we were so concerned about the amount she was eating, that we “coned” down her food to only serve foods she ate a lot of, which, of course, are now the only foods she eats. We were so freaked out about variety that we tried again and again to get her to try foods, laying on the pressure, lots of fighting. Exhausting and stressful for everybody. So today, when I read your post, I have to say that I was hurt. I was hurt that you described parents who use Pediasure as lazy, as wanting to take “the easy way”. I don’t use Pediasure, I’ve considered it but they only sell it in big expensive packs, and I wasn’t sure she would like it. Plus, I wasn’t sure that I wanted to have her drinking some sweet concoction, I want her to eat, and be healthy and enjoy food. I’m sure some of them are making feeding mistakes, but I’m sure that lots of them do meal plan and have regular meals and snacks, and have children that are “underweight” or “problem eaters” and they talked to a doctor or nutritionist or a grandmother or a neighbor who suggested they try Pediasure. So all these people, myself included, love their children and are trying to do what “experts” tell them is “best” and end up more screwed up. Couldn’t Pediasure (or like products) be used by parents to help them take the pressure off? If they were feeling more confident that nutritional needs were being met somewhat, would that help them take the pressure off at mealtimes? My daughter enjoys vegetable muffins (healthy, low-fat, high-fiber, muffins. I make them with pumpkin or carrot or zucchini, she enjoys them and takes them in her lunch to school.) This helps me, and my husband, not panic when at dinner she decides not to have a carrot stick or only nibbles the flowerets off one piece of broccoli, I know she is getting some vegetable nutrients in her day. Anyway, I just wanted to say my piece. Thank you for your blog, it is really helping us. Progess is slow, and of course we messed her up so much that it is probably going to be a really slow go to getting her on track. But I used to look ahead and know, in my bones know, that she was going to be anorexic some day, that the amount of power struggles around food was going to be our doom, and not know what to do. And now, I am starting to feel hope, hope that someday she will eat normally, have some likes and dislikes, eat too much one day, and too little another, and most off all not stress about it. Back to my post. I write my posts quickly and not often with the most thorough thinking! I am angry and upset precisely because desperate parents are tossed a bottle of Pediasure, with no help, no direction on how to really address or solve the underlying problem. As my friend said, “We felt like we were circling a black hole. Things were getting so bad and we just needed someone to pull us out of it.” We shouldn’t just be throwing bottles of Pediasure down that hole! I do what I do because I know parents are desperate, are trying hard, are consumed with worry, are scared beyond belief. I did not mean to call parents lazy who use Pediasure. Parents are desperate and will do what they can to help their children. These parents are not lazy at all. In fact they are consumed with worry and expend huge amounts of energy, often in a counterproductive way to help kids with eating. It doesn’t have to be so hard! My anger, disappointment and accusations are almost 100% directed at the health professionals and the advertisers for Pediasure. I do think there can be a role for Pediasure but with extreme caution. If children will drink it without pressure, if it helps parents relax and back off pressure, if there is a real concern about nutrients (you would be amazed how many really picky eaters are actually meeting nutritional requirements when there is a full 7 day intake analysis) and if it is given within a framework of addressing feeding in the best way possible, meaning sit-down snacks and meals and no grazing, DOR etc. It’s simply not fair for desperate parents to be given half-measures that may actually make matters worse. Please let me know if I didn’t get to your concerns, and thank you for writing. I am so glad that you are seeing progress with your daughter. Your words help me keep doing what I do. I hope my laziness with my blog today won’t put you off from reading my blog! Hang in there, and great news that you and your husband have expanded your tastes! Your daughter is lucky to have two such loving and considerate parents. This hits home for me as a feeding therapist who follows DOR as much as possible in my practice with kids with seriously disordered feeding. The patients I see have significant motor and/or sensory issues related to the oral mechanism and all have a history of negative experiences or “red flags”. Pediatricians are CLUELESS for the most part- I have parents tell me all sorts of crazy things their doctors told them to do, giving Pediasure being a big one. I had one 3 yo little boy on my caseload that had gone from formula to Pediasure and had never eaten ANYTHING solid. His height/weight were fine, so the doc wasn’t concerned at all. MOM WAS!! The kid couldn’t chew! One precious little three-year-old I saw recently had limited her diet to about 3-4 foods. Her pediatrician told her parents to use “tough love” and eventually she would eat. The poor child didn’t eat anything for dinner for FIVE NIGHTS IN A ROW. When I saw her, it came out that she was an ex-preemie, couldn’t latch (twin breastfed with no problem), never mouthed toys as an infant, etc…I diagnosed her with a sensory-based feeding disorder- she craves crunchy, high-input foods because her motor system isn’t getting enough information, but was being offered only steamed, soft foods. Go figure. Just wanted to share my two cents! Thanks for all you do, Katja! Thanks Jenny. Yes, most primary care docs are clueless. Amazing that they get virtually no training for the most part in this really critical issue! 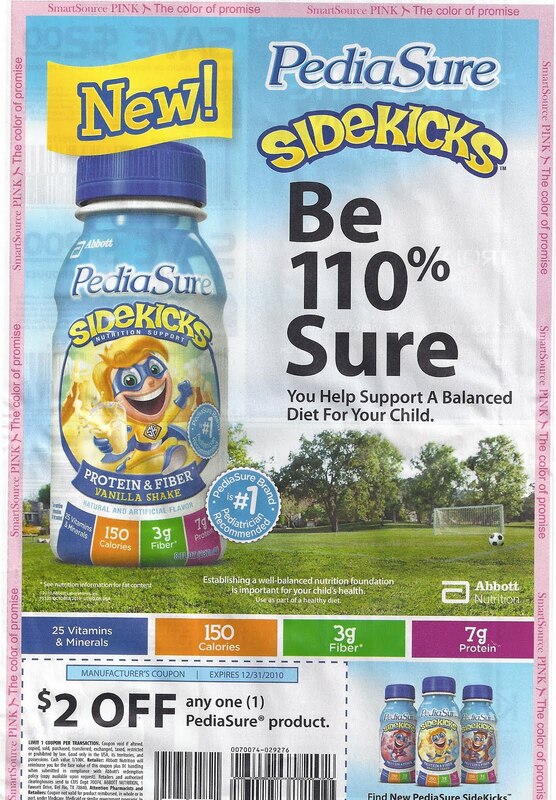 The Pediasure is an easy out for many. They need at least one quick lecture with screening questions and things to look for in terms of common oral motor concerns, but they need at least as many if not more lectures on feeding and DOR. I just got a call from a mom of a 14 month old who was near panic. She was referred by the pediatrician to the feeding clinic bc her daughter hadn’t gained weight from 12-14 months. (The child had a GI illness, was otherwise developing normally, ate all kinds of textures and different foods-though not much, had been switched from formula to whole milk at 12 months even though she was a former premie at 35 weeks.) I offered my services, but she didn’t seem too interested. I am worried that the doc gave no guidance, and just made the referral. I asked that whatever she do, she not force feed the child, that if the child tolerated it, they could have stayed with formula while they transitioned to solids, and could still go to it while they figured this out to support her nutrition. What I imagine happening is her getting frantic, getting pushy, forcing the bottle, and then when they do go to the therapy group that there will be some oral aversions (duh, I would too if someone crammed a bottle in my mouth and forced food on me…) Seems like this mom could have gotten some support, reassurance, guidance, some follow up questions and exam to screen for feeding problems or oral-motor/sensory issues rather than just an “Oh, this is bad, let’s do a feeding clinic eval, and just deal with it until they can get you in in 6-8 weeks. A lot of counterproductive feeding practices can happen to further mess things up in that time.